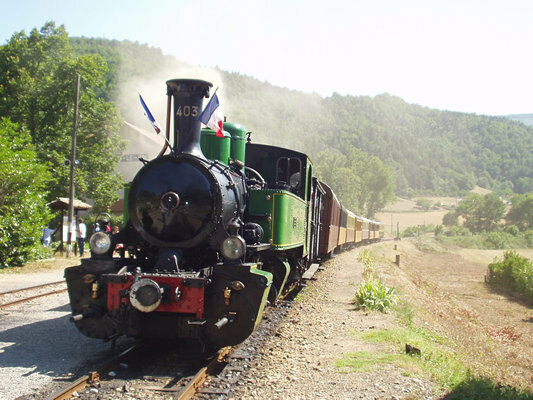 In 2008 a group of our “Walksweekers” travelled on the last train from Boucieu to the Rhone Valley passing through the spectacular Doux gorge. As they approached Tournon station, with the locomotive flying black flags, they were alarmed by what they took to be the sound of machine gun fire, but which turned out to be firecrackers that had been placed on the track and were detonated by the weight of the engine. This we were told, was the traditional way of marking a sad episode on a railway line. 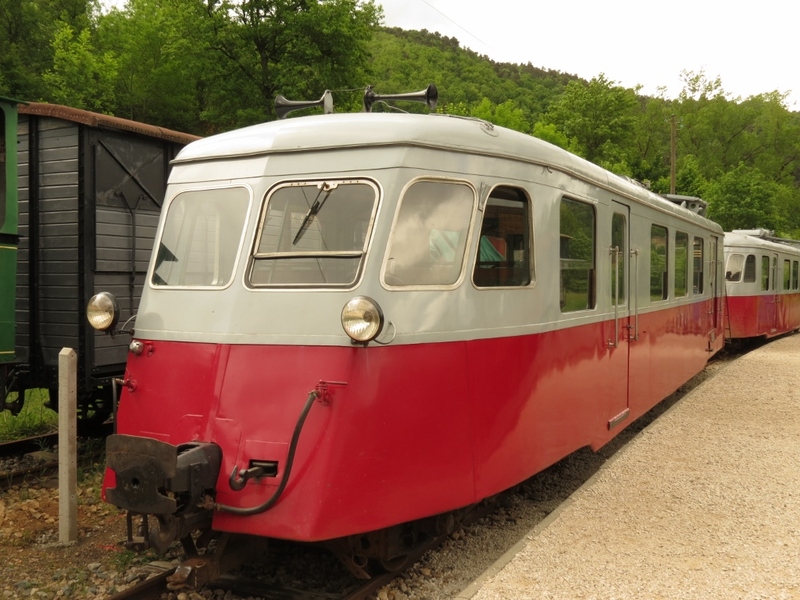 On the 2nd July 2013, after two years of work and 13 million Euros of investment, the train will be running again. 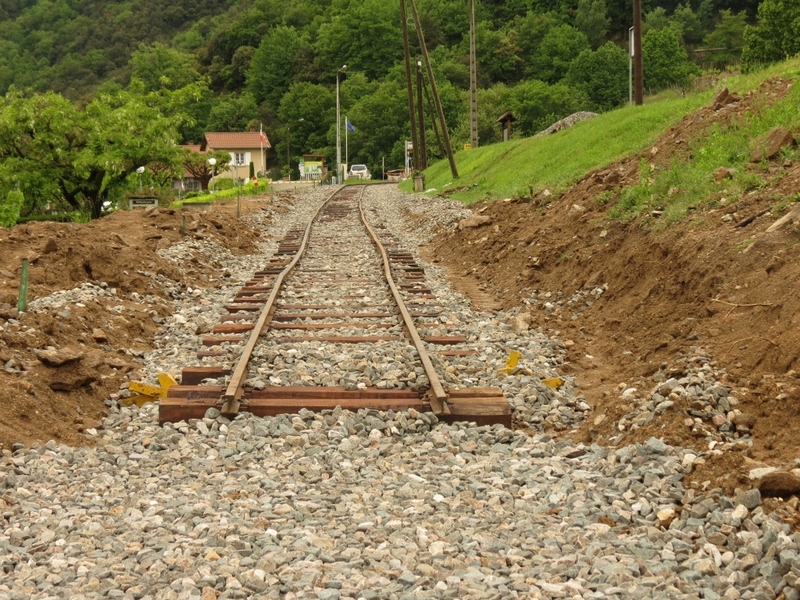 Most of the track has been replaced and new ones laid in the stations, overhanging rock faces have been secured, the line has been fenced in, engine sheds and an entirely new station have been built from scratch. The disintegrating locomotives are being restored, carriages modified, new carriages imported and lovingly refitted. Work has continued at a steady pace during the last few years regardless of snow, falling trees and floods. It is D Day minus 42, or as the French say, 42 days to le Jour J. Will everything be ready in time? Still a few metres to go . . . Here are some pictures we took in the last few days. Judge for yourself!